in the feedback loop of warm and wet. 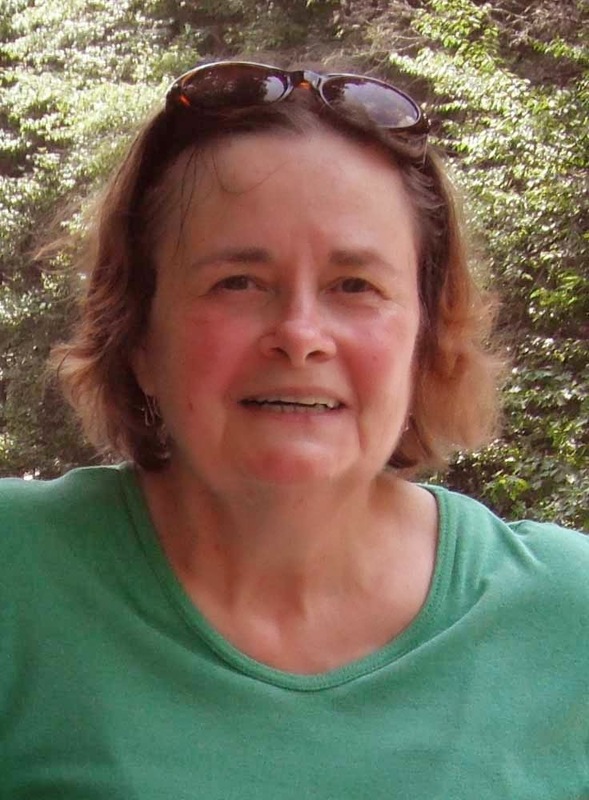 Sherry Chandler’s work has appeared in many magazines and anthologies, including The Louisville Review, The Cortland Review, The William and Mary Review, Kestrel, and Calyx. Her work has twice been nominated for the Pushcart Prize. Chandler has had professional development support from the Kentucky Arts Council and the Kentucky Foundation for Women. The Woodcarver’s Wife is her second full-length poetry collection. She is the author of one previously published full-length collection, Weaving a New Eden, and two chapbooks, Dance the Black-Eyed Girl (Finishing Line Press) and My Will and Testament Is on the Desk (FootHills Publishing). Chandler was born and raised in rural Owen County, Kentucky. A 1963 graduate of Owen County High School, she has degrees from Georgetown College (BA) and the University of Kentucky (MA). She has recently retired from a 25-year career as a board-certified Editor in the Life Sciences. Chandler lives in Bourbon County, Kentucky with her husband, the wood carver T. R. Williams. She has twin sons and twin grandchildren. 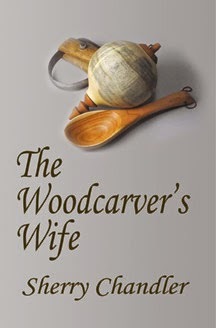 As I mention in my review of The Woodcarver's Wife (click here for the review), I first met Sherry Chandler several years ago at a reading and panel discussion held as part of the Kentucky Women Writers Conference in Lexington, Kentucky. The past two years I've enjoyed participating with her and other poets in writing a new poem every day during the month of June for the Lexington Poetry Month Writing Challenge, organized by Hap Houlihan of the Morris Book Shop and Katerina Stoykova-Klemer of Accents Publishing to promote local poets and poetry. On your author website it says you didn't publish a poem until 1993 and that your first chapbook was published in 2003. Had you been writing poetry for years, and just hadn't submitted it for publication, or did you begin writing poetry later in life? SC: I was nine or ten years old before a television set was considered as essential to the home as a cookstove, especially in our rural community. Although we did have radio, and I remember listening to series like The Lone Ranger and The Shadow on radio, everybody read: Agatha Christie, The Courier Journal, Motor Trend, Superman comics. As the youngest in the family, I was the only one in the house who couldn’t read, and I did a lot of begging to be read to. Eventually l became an omnivorous but naïve reader. When I decided to concentrate on poetry, my first task was to learn what it is—a task I’ll probably never finish. A task I hope I never finish. Although I started out behind, I always wrote, even if it was just letters. Before I wrote in any other genre, I was known as an entertaining correspondent. Alas! The form was archaic before I set pen to paper. Setting pen to paper, by the way, the act of writing is something I enjoy. I wrote a few poems in college but studying the English canon convinced me that the poet was next to God, a height to which I could never aspire, not the least because of my gender. Fiction writers at least had to be grounded, so I spent several years learning the short story. I even had a little success. Got an artist enrichment grant from the Kentucky Arts Council and used the money to attend the Indiana University’s summer writer’s conference. I’ve had two big epiphanies in my development as a poet: One was reading “The Red Wheelbarrow;” the other was hearing Andrew Hudgins read at IU. He was not comparing anyone to a summer’s day or daring to eat a peach; he might be explaining the ways of God to man, but he was doing it by writing about church ladies with funeral parlor fans. He was writing poetry about the world I lived in. I could do that! So that was 1989 and I was 44 years old. That was when I became a serious poet. What made you first want to write poetry? And why led you to submit your poetry for publication? SC: I don’t know why I wanted to write poetry. As I say above, I wanted to write and once I got over my awe of it, I realized that poetry is the genre best suited to my particular imagination. My mother used to recite poems she had memorized in school: “The Song of Hiawatha,” “Paul Revere’s Ride,” “October’s Bright Blue Weather,” “The Swing.” Henry Wadsworth Longfellow, Helen Hunt Jackson, poets we’d long-since dismissed as too popular, but I didn’t know that. What I did know was the pleasure they brought my mother and I loved to hear her say them. That’ll do for a reason, to please my mother. I do know why I offer poems to journals: Ego. The world has room for only one Emily Dickinson. For most of us, the writing process is incomplete without publication. Acceptance by the gatekeepers. Of course the nature of publication has changed since I started writing and people are finding ways to by-pass the gatekeepers – or create new ones. Self-publishing, in print or online, doesn’t carry the stigma it did in the 20th Century, and poets who post their work to their blogs get more readers than poets published in traditional print outlets. One of the things I admire most about your poems is how rhythmic they are because of your use of assonance, alliteration, internal and end rhyme. Do you have a musical background that instilled this element into your poetry? And is this something that finds its way into your early drafts or do you add it in later revisions? The always-in-the-present me forgets how old I am. As I said, I lived several years before television made it into everybody’s living room. In those days people had to entertain themselves and most everybody played some sort of instrument. And in my particular case, people would gather at the general store on Saturday nights. They sat in the back room among the sweet-smelling bags of feed and jammed while the children chased lightning bugs or took each other on snipe hunts. Or they’d roll back the rugs in somebody’s house and have a square dance. It’s just too Norman Rockwell for words, isn’t it? Well, I suspect there may have been a bottle involved. Robert Pinsky says because the accentual cadences of spoken English require not just changes in volume but also in pitch, it’s almost as though we are singing to one another all the time. I like to push my poetry toward singing. I am, in fact, a bit word drunk. With practice, the devices that started out as add-ons in revision are internalized and start to appear in first drafts. What is it that compels you to write formal poetry? Is it a decision you make while, or after, you write a first draft of a poem? SC: I find working with restraints pushes me to surprise myself. It can be really hard to write in (something I laughingly call) meter and rhyme. The biggest temptation is to pad lines. Earlier poets do it shamelessly – all those “I did go” constructions and inversions to hit the meter – and it was partly that wordiness that made the modern poets embrace free verse. If you work in rhymed and metered verse now, it has to read like ordinary speech. “I didn’t realize it was a sonnet” is about the highest praise I receive. The second temptation is to sound “poetic.” I don’t want iambics to over-ride my natural-born cadences. It culminates as a sort of synthesis if I’m lucky. Any number of poets (Robert Graves, Richard Wilbur) say a poem finds its own form. Molly Peacock suggests that form is a scaffolding not a cage. I work the reverse of your question – I sometimes use form to generate the work and edit it out in the revisions. And sometimes the poem just won’t do what you tell it to do. “For my Valentine” defied me. I tried to make it a sonnet, because it’s a love poem, but Wooly Bully insisted on a bigger role so I had to open the gate and let him run. The result is much more relaxed and, I hope, amusing. Your bio says, "You recently retired from a 25-year career as a board-certified Editor in the Life Sciences." Can you tell us more about this work, and did it play into your poetry writing? SC: I worked for academic physicians, doctors who doctor, teach, and research. That’s a big commitment and I admire them tremendously. Besides they have the money to pay editors. Part of what I did was to translate jargon into plain English. Writing for medical journals follows a very strict form, much tighter than formal poetry, and papers are heavily peer reviewed. Medical researchers have to be very careful not to claim cause and effect. As a result, doctors don’t trust the sentence. They think it’s gonna haul off and assert something. So they subordinate (badly) and qualify and hang so many constraints on any statement, use so many acronyms, and so much jargon that the poor sentence is choked almost to non-meaning. In addition to which, a fair number of my clients spoke English as a second language. So I had to become an expert on the sentence, first to pull it apart and figure out what it intended to convey and second to put it back together so that it said what it meant. “When I use a word,” Humpty Dumpty said in rather a scornful tone, “it means just what I choose it to mean - neither more nor less. I also had the job of writing consent forms that made the research understandable on the sixth grade level. That was my favorite part of the job. I prided myself on writing elegant consents. The most “readable” text is not that comprised of one simple declarative sentence after another. Intelligent subordination works best in consents and in poetry. To be nimble with English syntax is essential. Even if you’re going to violate syntax, you first need to know how it works. Several of your poems contain lists, such as in "Bennet's New Latin Grammar (1895): A Love Poem" it's grammatical terms, and in "Clearing Out" it's items someone has collected throughout a lifetime, and in "The Woodcarver's Wife" it's carving tools and types of wood. Can you tell us how you decide which items to include, and do you arrange them in a particular way for some effect? SC: There is music — and magic — in the names of things. Ancient cultures thought to know the true name was to have power over. Gertrude Stein says "A noun is a name of anything, why after a thing is named write about it.” But I write about it too. In “Bennet’s” I tried to pick grammatical charts and tables that would undercut the speaker, providing glimpses of the relationship. Latin is wonderful for that purpose, having forms like “accusative of the result produced” and “moods of indirect discourse.” Because it’s a somewhat comic poem, I let it get a little raunchy. Love those copulatives and supines. I've discovered you're posting micro poetry on your Twitter and Facebook page. What inspired you to do this and how long have you been doing it? SC: Blogging brought me in contact with one Dave Bonta, an avid supporter of open-source publishing on the web (http://www.vianegativa.us/2007/08/should-poetry-be-open-source/ ) Dave, who lives in the Pennsylvania Appalachians, writes a micro poem daily, which he posts on Morning Porch (http://morningporch.com/). Before I made a cyber connection with Dave, all I had seen and read about what was called “TwitterPo” was derogatory, but I admired what Dave was doing and decided to try it for myself. I started out with two rules. First my postings would serve me as a sort of meditation – not just to observe one thing closely each day but also to find fresh language to evoke what I see. Second, the postings would be ephemeral. That is to say, I’d put them out there and let them go. I opened my Twitter account in April 2008; that means I’m into my 7th year of writing micro-poetry. As it stands today I’ve made over 1600 posts and have about 3600 followers. From time to time, someone will ask me whether I intend to put the tweets in a book but I want to stay true to my original concept. I only have one regret – when I set up my Twitter account I had to choose a name. For reasons too complicated to explain, I chose the name @BluegrassPoet, as though somehow there was only one. To all the other wonderful Bluegrass Poets out there, I do apologize. What poets did you first come to admire, and what was it about their work that intrigued you? Williams’s songs are raw emotion with a steel guitar, but sometimes that’s what you need. Then there were minimalists: Emily Dickinson, William Carlos Williams, E. E. Cummings. I liked the way they used space. Like I said, when I first saw “The Red Wheelbarrow” I was hooked. And I was intrigued for a while by the Middle English poets: Chaucer and the Gawain Poet (Pearl Poet) were best. Chaucer could be so many people, some of them very earthy. The poetry I read before college had been pretty heavily bowdlerized. Who knew you were allowed to tell dirty jokes in poetry? But Chaucer is amazingly skilled at creating characters who reveal themselves unawares by their speech. Gawain and the Green Knight was at once familiar and alien, like Disney crossed with Stephen King. I loved horror stories when I was young. Donne, Browning. Frost. James Weldon Johnson’s God’s Trombones. Your arm's too short to box with God. Have your tastes in poetry changed over the years, and if so, in what ways? SC: My tastes in poetry have become more educated but I don’t know that they’ve changed in essence. I’ve come to know more contemporary poets and my taste ranges from Kay Ryan to Patricia Smith to Seamus Heaney who did an excellent translation of Beowulf. I still love the ancient poems – Gilgamesh, Beowulf, et al. I seem to have a predilection for Southern poets: Ellen Bryant Voigt and our own Maurice Manning. Natasha Trethewey. Sally Rosen Kindred. Looking at the poems I’ve named in answering your questions, I’d say I am drawn to poems that are strongly voiced and musical and that is completely predictable, because that is the kind of poetry I attempt to write. You just keep teaching me things about myself, Karen. What poets are you currently reading, and can you recommend particular collections of theirs? Cathryn Essinger’s A Desk in the Elephant House. Actually, I’m re-reading this book, her first, and I recommend it and her other books: My Dog Does Not Read Plato and What I Know about Innocence. Joe Survant’s The Land We Dreamed. This book is the last of a trilogy about Kentucky’s history. The others are Anne and Alpheus and Rafting Rise, the latter my favorite. Richard Jarrette’s Beso the Donkey, a book of short poems recommended to me by Cathy Essinger. It reads sort of like “Seventy Ways of Looking at a Donkey.” If Beso were a mule he’d fit snugly into a William Faulkner novel. Lisa Williams’s A Gazelle in the House. Lisa is a multi-award winning poet. I have just started this book so I can’t say much about it. My favorite at this point is Woman Reading to the Sea, which won the Barnard Women Poets Prize. Do you have any writing projects you're working on now? SC: In a word, no. I’m enjoying the freedom to follow my nose in the writing and to hope, like Mr. Macawber, that something will turn up. To read some of Sherry Chandler's poems and learn more about her and her work, visit her website: http://sherrychandler.com/index.html. Karen George, MFA, retired from computer programming to write full-time. She enjoys traveling to historic river towns, mountains, and Europe. She is author of Into the Heartland (Finishing Line Press, 2011), Inner Passage (Red Bird Chapbooks, 2014), Swim Your Way Back (Dos Madres Press, 2014), and forthcoming The Seed of Me (Finishing Line Press, 2015). You can find her work in Louisville Review, Tupelo Press 30/30 Project, Wind, Permafrost, Blast Furnace, qarrtsiluni, Found Poetry Review, and Still. I first met Sherry Chandler several years ago at a reading and panel discussion held as part of the Kentucky Women Writers Conference in Lexington, Kentucky. The past two years I've enjoyed participating with her and other poets in writing a new poem every day during the month of June for the Lexington Poetry Month Writing Challenge, organized by Hap Houlihan of the Morris Book Shop and Katerina Stoykova-Klemer of Accents Publishing to promote local poets and poetry. Sherry Chandler's The Woodcarver's Wife revolves around her forty year marriage to "Thomas, the Woodcarver," to whom the book is dedicated, and the farm in Kentucky where they lived. Her poems are grounded in lush concrete detail, particularly of the natural world, enlivened by her exquisite sense of humor and wit, and suffused with an irresistible essence of tenderness and longing. the letters of her name. and with each consummation fires again. There is such tenderness and yearning in the image of a child tracing her name, and it creates a sense of tension with the following stanza and its image of desire as the element of fire that "consumes" and yet becomes even stronger. This ending image of "a flame that consumes and ...fires again" suggests the phoenix of Greek mythology, a bird that is reborn from its own ashes, also associated with the sun and its cycles. Various types of cycles thread these poems along with the elements of nature: earth, air, fire, and water. This poem begins with "you with lips shaped / to your breath" and later the phrase "the wish breath," introducing the image of elemental air. The use of contrasting images of warmth and coldness repeats throughout these poems, as in "Bonfire:" with: "...bake my aches / against the hot brick of your back." The lovely echo of the long "a" in "bake" and "aches" along with the alliterative use of "b" and "k" add emphasis to the image. The element of water is introduced in the poem, "Sonnenizio On a Line From Hayden Carruth." A sonnenizio is a form of the sonnet, where you take a line from another poet’s sonnet to use as the first line of your sonnenizio, and then repeat one word from that first line in each of the subsequent 13 lines, ending with a rhymed couplet. Chandler borrows her first line from Carruth's The Sleeping Beauty, "The fury of romance, surging, resurging, wet—" and then every line ends in the word "wet," perfect for a poem about love and passion. She contrasts the opening line's "fury of romance" to say "Ours was rain after drought, a wet / that heals cracked earth"—just one example of the way she uses earth images. This contrasting image of wet vs. dry recurs throughout the collection. In the poem, "Dry October," near the end of the collection, she opens the first stanza with "The ground is hard with drought" and ends with "We find no forgiving softness." The poem tells of burying their cat and concludes with the haunting imagery "The moon / is humpbacked. We crunch back to the house." The "crunch" refers to the dried leaves underfoot, but it also suggests brittle bones and the creaks our limbs make as we age. This is reinforced by the following poem, "Numerology," which opens with "I'm brittle as a stick of stale Juicy Fruit, / porous to the bone." While this image has a humorous quality to it, it also holds the rub of reality—the challenges aging forces on us. In the lush "Medjool Dates" the succulence of the dates contrasts with the aches of the couple's "extremities, ends / of fingers that crook, yet will not bend / to our will." Chandler mirrors nature's cycles with the cycles of human life, and also how even the structures we work and live in deteriorate over time. In the poem "What Bugs Us," termites, spiders, crickets, wasps, wood bees, and moths are having their way with the couple's house. The poem ends with the grim line "The end's the same: we eat until we're eaten." The poem, "Tobacco Barn," opens with "A wake of turkey vultures makes a roost / of its ruined roof...their shadows gliding over the grass." It ends with "The shell of ours will stand a few years more / the uneasy tenancy of this scavenger colony— / but vultures are magnificent when they soar." Again we see this duality of life (birth and death, health and illness, beauty and violence) reflected in the stark image of the vultures as scavengers and yet the poet is able to recognize their beauty "when they soar." to ride out its reliable fury. The above lines exemplify Chandler's use of internal rhyme, assonance and alliteration that create a lovely sense of rhythm and music throughout her collection, part of what makes her poems come alive. The repeated "ow" sound in "down" and "underground," the long "a" sound in "basement" and "caves," the long "i" sound in "ride" and "reliable," along with the repeated "s" sound in "trees, slashed shingles" create an opulence of sound that resembles what they might have heard during the storm. In speaking of the rhythm and music of the poems, I want to also mention that many of the poems are written in various forms, such as the sonnet, sonnenizio (discussed above), pantoum, and terza rima, with specific end rhyme schemes, adding to the enticing sound patterns of her poems. I was particularly struck by her expert use of slant rhyme in such pairings as "even/robins," "freeze/leaves," "content/lament," "bloom/time," and "seeds/feast." The poet appears to have carefully thought out how to arrange these trees for optimal effect. She combines the different types of maples, then all the types of trees with "black" in their names, then types of oak. Again this list accumulates into a pleasing rhythm, and conveys a sense of the poet's connection and deep appreciation for the variety and beauty of the natural world. These lists also add to the playful, teasing tone of the poem. The poem begins with the line "Men love blades." It goes on to describe "wood-be carvers" that "stroke the arched / cherry vessel...fondle the turned / pear bowl...," sexual imagery emphasized by the short lines shaped like a phallus on the page. The poem "The Woodcarver's Wife" is also an intimate song of seduction, and I couldn't help but think of the Sirens of Greek mythology. The following lines are interspersed throughout the poem like a song's refrain, using whimsical internal rhyme, addressed to her husband: "Woodcarver, my Lad with the Adze," "Woodcarver, my Knave with a Shave," "Woodcarver, my Swain with the Plane," and "Woodcarver, my Scamp with a Scorp." The flirtation continues with such lines as "Join me. We'll be mortise and tenon, dovetails, / butterfly wedges" along with the tenderness of "our union / cups us deep in heartwood that, polished dark by / use, resists decay, thus outlasting younger / juicier sapwood." Chandler adds richness to her poems by referencing Biblical figures such as Eve and Mary, and literary figures (ancient to modern), such as Catullus, Virgil, Shakespeare, Milton, Cyrano de Bergerac, Rilke, Hayden Carruth, William Stafford, Helen Losse, and Tony Hoagland. In her poem "An Old Lover's Invitation to Practice a Different Alchemy," I was delightfully reminded of both Marlowe's poem "The Passionate Shepherd to His Love" and Andrew Marvell's "To His Coy Mistress." Chandler's "An Accounting" plays wonderfully off of Elizabeth Barrett Browning's "How Do I Love Thee? (Sonnet 43)," and "For My Valentine, a Modern Pastural With a Lot of Bull" playfully parodies the pastoral tradition of literature which idealized rural life and landscapes. link the flag of an Allied Nation. become a feeder of grass. as my Southern Baptist heritage. The repeated hard "t" sound in the second line above creates the effect of gritting her teeth as she engages in the battle, and yet I sense she is also laughing at herself, imagining how she must look to someone else. today we huddle by the dwindling embers and remember. The luscious repetition of the "h," "r" and "l" sounds adds to the sensual effect. The mention of "hearth" and "embers" continues the element of fire motif. In the poem "Homeplace with Birds and Trees" she describes the position of the sun and moon behind specific trees in the different seasons, saying, "These periods of home I know as my tongue knows the map / of my teeth." In "Ephemera" she walks into an area of their land that they let grow wild, where "deer take refuge" among "blackberry canes, / goldenrod, / swarms of viceroys / and bees. // Along the leaf-mold floor, / a twisting grapevine / binds all into slow silence." Like many poems in this collection, "Beginning" speaks about the circularity of life, the paradox of how when we're near the end of life, we feel as if we're only beginning, and how we struggle with imagining the end of our lives, how we will actually go through that process. She ends the poem and the collection with what she states as "Only one thing I know:"
We spin in common orbit. we'll wobble our way to an end, binary. While this poem may be unsettling, it's also comforting and beautiful—a perfect way to end this collection that speaks to so many of life's dualities. The poems in Sherry Chandler's The Woodcarver's Wife vibrate with exquisite sound, imagery, emotional resonance and layered meaning. She looks unflinchingly into her past with glances to her future, but these poems remain rooted in the abundance of the present moment, with gratitude for her life partner, and reverence for the land and its inhabitants. The Woodcarver's Wife invites us to look more closely at our own history, and how we connect to the people, places, and essences that comprise our lives.